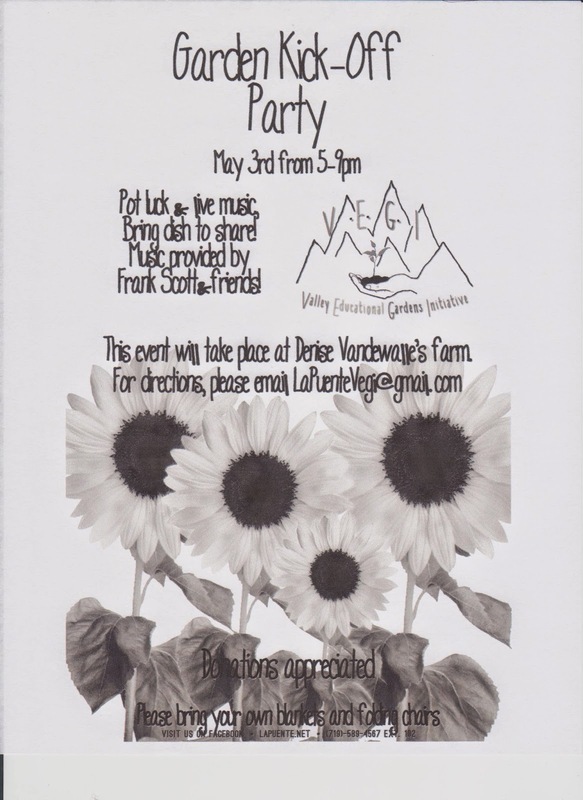 The Valley Educational Gardens Initiative- VEGI- (formerly the Alamosa Community Gardens) is having their annual Kick-off Party on Saturday from 5-9 at Denise Vandewalle's farm north of Alamosa (email LaPuenteVegi@gmail.com if you need directions). This is a potluck party with live music by Frank Scott and Friends. Come and join the fun and learn about what is new with VEGI! 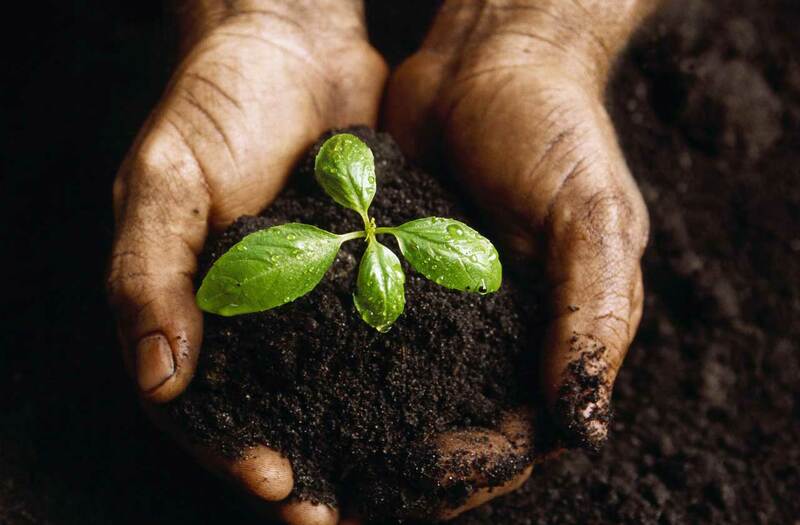 Ever wanted to grow your own garden? Or change your gardening techniques to be more organic? Valley Educational Gardens Initiative (VEGI), The Local Foods Coalition, and The Alamosa Community Greenhouse will be hosting a FREE three -part introductory workshop series on organic gardening presented by Paul Niebel. No experience necessary and gardeners of all abilities all welcome and encouraged to attend. The first workshop in the series was held on March 15th, , but feel free to join us for one of both of the upcoming workshops- Sat. March 22nd and Sat. March 29th from 10:00 am – 12:00 pm at Trinidad State Junior College in Alamosa. Donations (or a potluck snack to share) are appreciated!